Freehand is a collection of boutique hostels located in Miami, Chicago, New York, and Los Angeles. The allure of a hostel is the social connections guests make, which leads to the unexpected stories they can’t wait to tell their friends, but maybe not their future kids. If it can take you to a hostel, we’ve got an ad there. 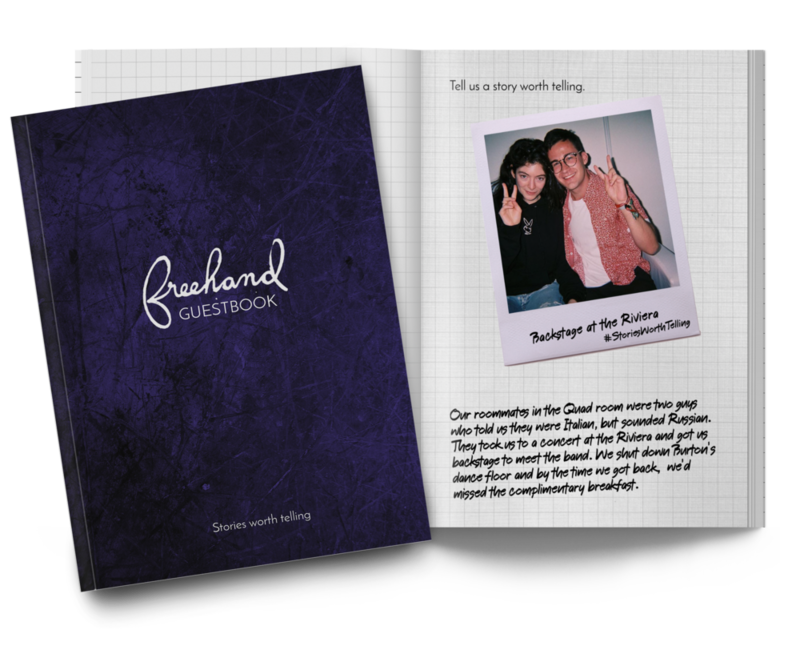 Each Freehand would have their own Guestbook, curated with the best stories from previous Freehanders. Freehanders would be encouraged to use the hashtag, #FreehandGuestbook, on Twitter and Instagram, after they share their most memorable anecdote.